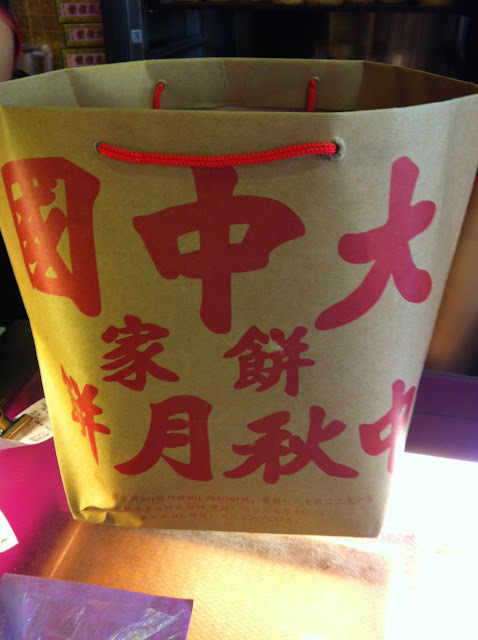 We get mooncakes from the same places every year. Creatures of habit, heh. This time I made it down to 大中国 in Chinatown with my Dad! Usually either him or my grandma does the buying. Queues were not mad but the stream of people coming in and out was never ending. Their deft service cleared the crowds quickly. 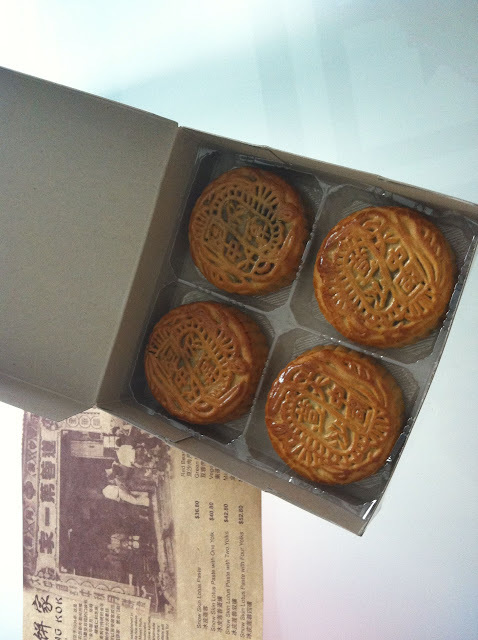 Mooncakes delivered in the morning itself. Dad mused that in the past, he and his siblings would get a piglet (without filling) each and they will share a single mooncake. Gosh! Note that you can dispense with the box and opt for the wrapped-up tube version. It’s slightly cheaper that way. 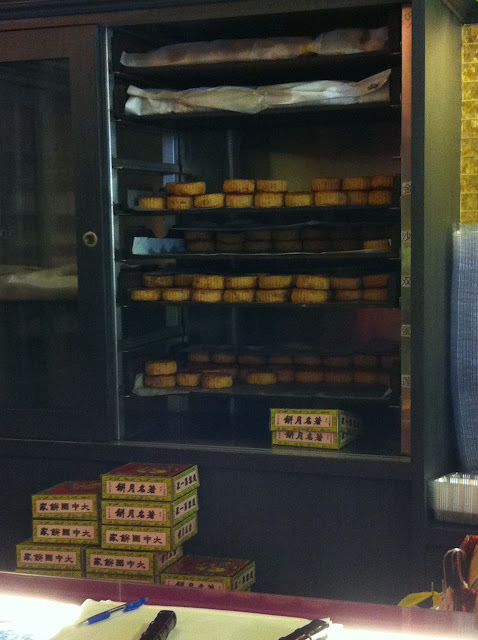 Bagged two boxes of our favourite red bean mooncakes. I’m not sure if it’s because I was deprived of red bean mooncakes last year whilst I was on exchange but the batch this year tasted extra good! 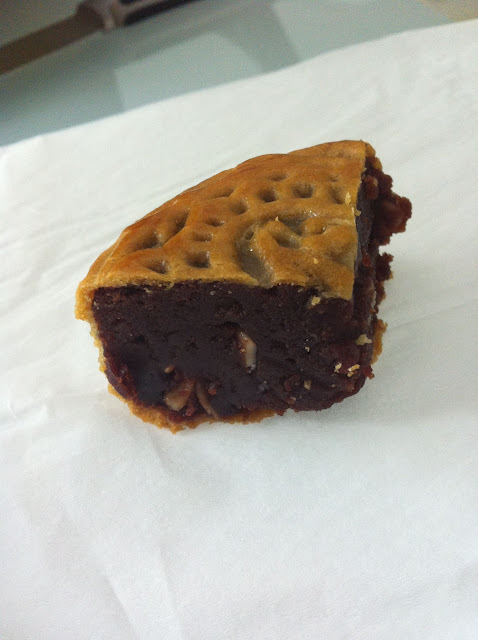 The baked crust was thin, the filling was moist and the red bean flavour was strong and delicious. Yes it’s sweet- that’s how it should be. Full of sugar and laden with lard. 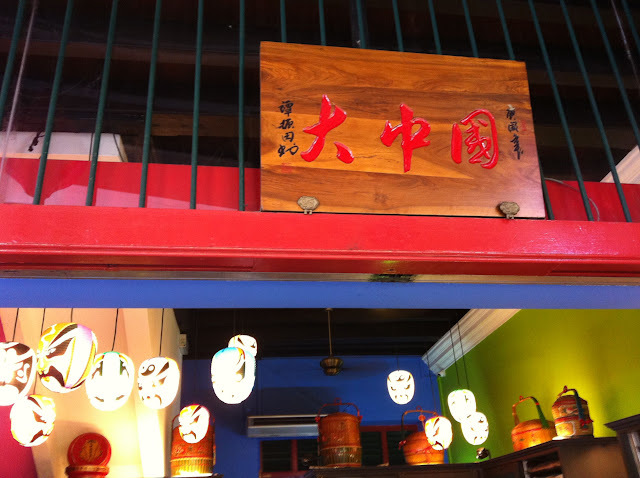 Our usual orders from peony jade and raffles hotel will come in on friday. I’m so excited! !